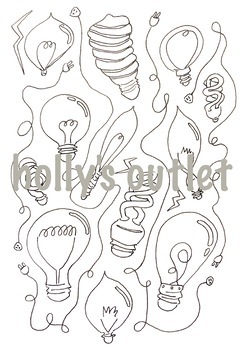 This page includes 11 lightbulb doodles as well as more around them! For learning about electricity, science or a science fair, this is a great hands-on worksheet! This is great for clipart, a coloring page or cut outs!